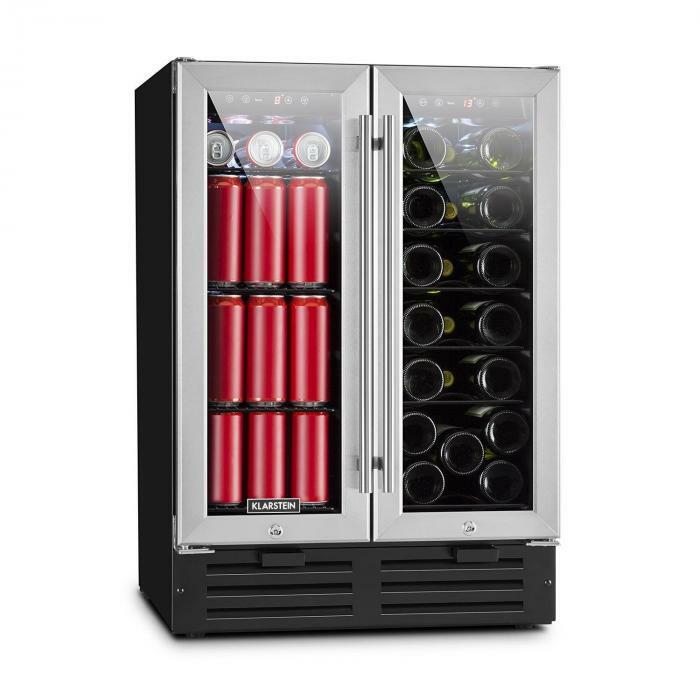 Double-cooled refreshes better: the Klarstein Beersafe XXXL is a compact double refrigerator with a capacity of 4cft for storing wine and beverages. Two separate cooling rooms leave no desire for cold beverages and spirits unfulfilled. 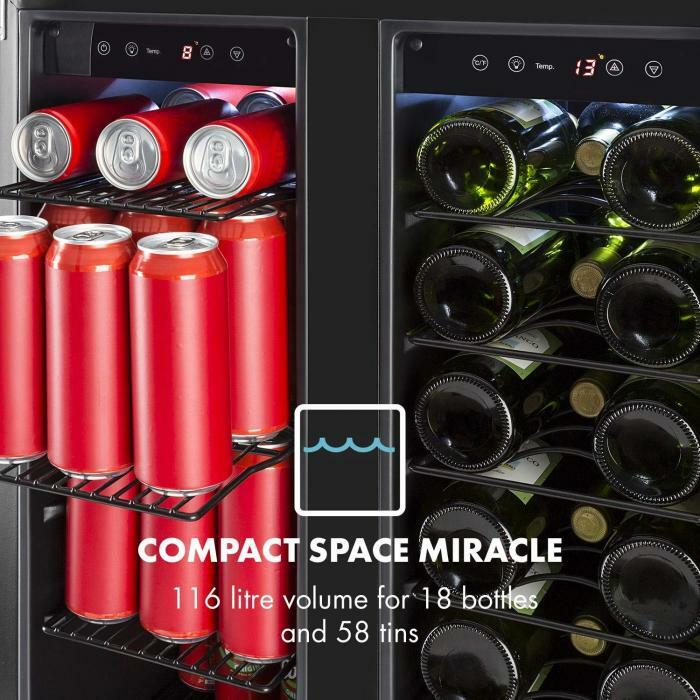 While on the left, four metal shelves provide stable support for the orderly storage of up to 58 beverage cans, the right side refrigerator compartment holds up to 18 bottles of wine cooling on the 6 bottle bases. 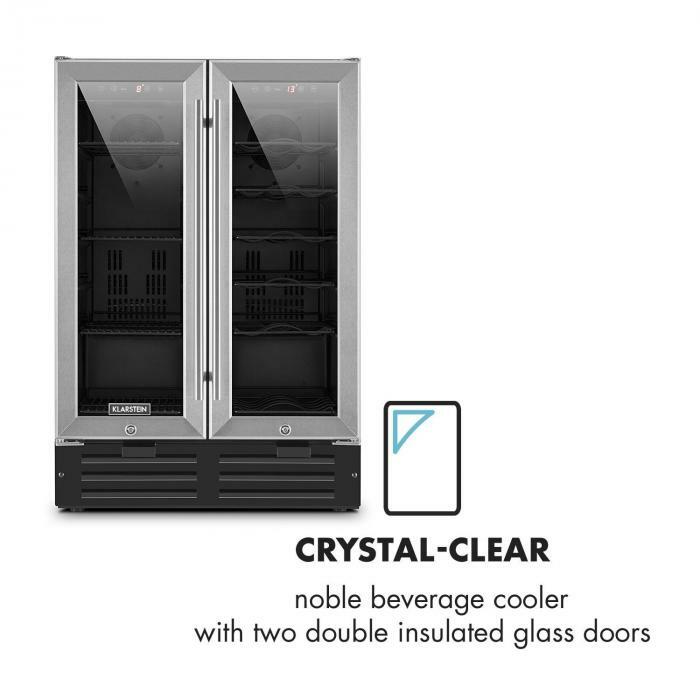 Both cooling units are equipped with a separate, double-insulated glass door with an elegant front of brushed stainless steel and can be separately locked - so that your favorite wines and beverages are always kept safe .On both sides, a touch-control panel with digital display is available to set the cooling temperature between 41 and 72°F - so wine can be cooled down to achieve the ideal drinking temperature as can the beer or soda cans. 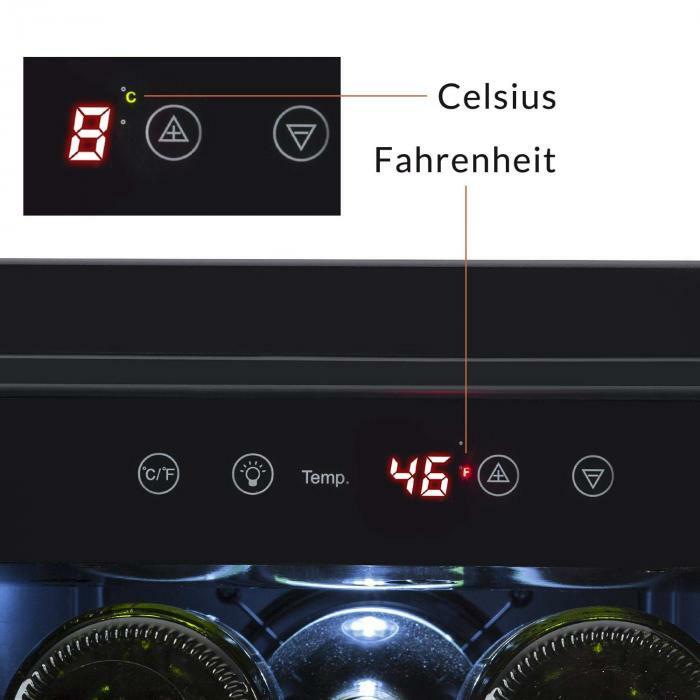 The compact unit harmonizes with different living atmospheres and with any furnishing style. 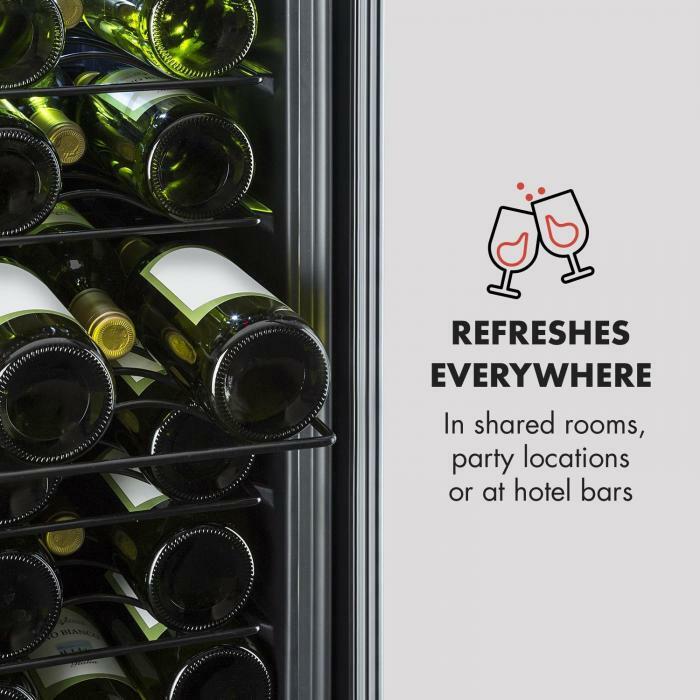 Whether in the kitchen, in the living room or at the hotel bar - the Klarstein Beersafe XXXL beverage refrigerator radiates a solid presence thanks to its easily activated interior lighting. 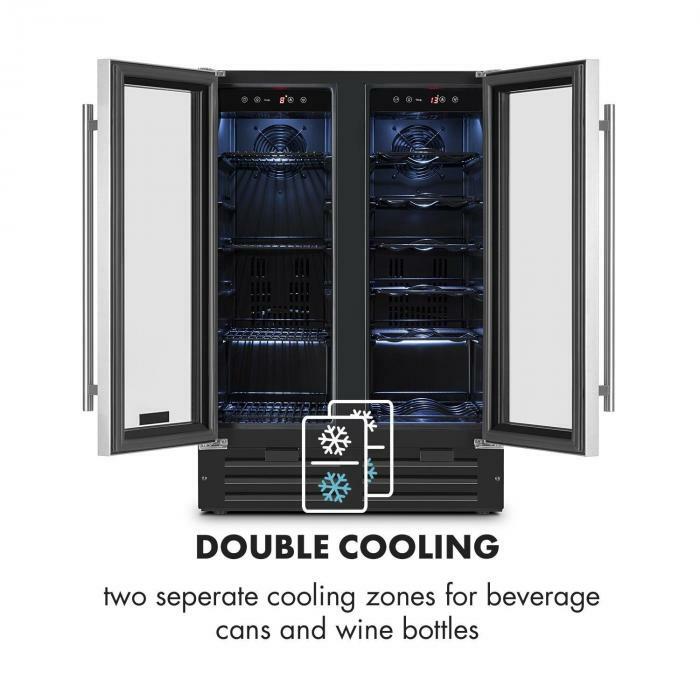 Double freshness, free-standing or built-in: the Klarstein Beersafe XXXL drinks cooler with double cooling zones brings drinks to a refreshing temperature.